This is an artist’s concept of a possible Low Boom Flight Demonstration Quiet Supersonic Transport (QueSST) X-plane design. The award of a preliminary design contract is the first step towards the possible return of supersonic passenger travel – but this time quieter and more affordable. The return of supersonic passenger air travel is one step closer to reality with NASA’s award of a contract for the preliminary design of a “low boom” flight demonstration aircraft. This is the first in a series of ‘X-planes’ in NASA’s New Aviation Horizons initiative, introduced in the agency’s fiscal year 2017 budget. NASA Administrator Charles Bolden announced the award at an event Feb. 29 at Ronald Reagan Washington National Airport in Arlington, Va.
NASA selected a team led by Lockheed Martin Aeronautics Company of Palmdale, Calif., to complete a preliminary design for Quiet Supersonic Technology (QueSST). The work will be conducted under a task order against the Basic and Applied Aerospace Research and Technology contract at NASA’s Langley Research Center in Hampton, Va.
After conducting feasibility studies and working to better understand acceptable sound levels across the country, NASA’s Commercial Supersonic Technology Project asked industry teams to submit design concepts for a piloted test aircraft that can fly at supersonic speeds, creating a supersonic “heartbeat” — a soft thump rather than the disruptive boom currently associated with supersonic flight. “Developing, building and flight testing a quiet supersonic X-plane is the next logical step in our path to enabling the industry’s decision to open supersonic travel for the flying public,” said Jaiwon Shin, associate administrator for NASA’s Aeronautics Research Mission. 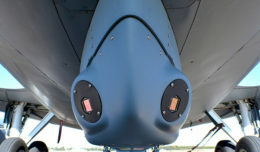 Lockheed Martin will receive about $20 million over 17 months for QueSST preliminary design work. The Lockheed Martin team includes subcontractors GE Aviation of Cincinnati and Tri Models Inc. of Huntington Beach, Calif. 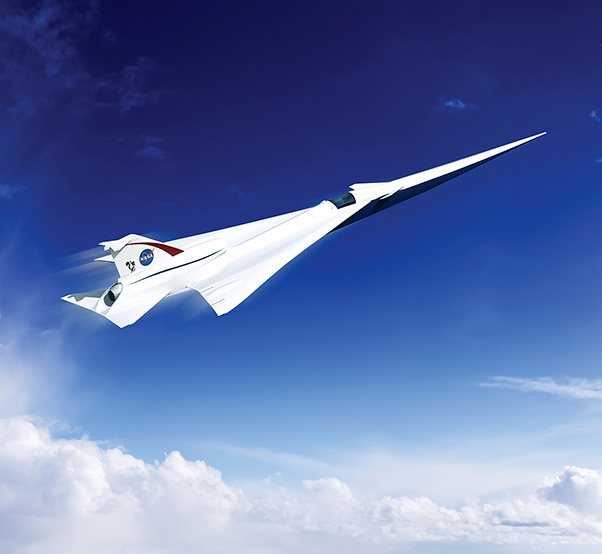 In addition to design and building, this Low Boom Flight Demonstration phase of the project also will include validation of community response to the new, quieter supersonic design. 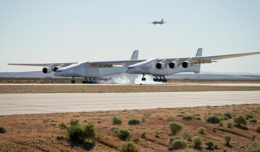 The detailed design and building of the QueSST aircraft, conducted under the NASA Aeronautics Research Mission Directorate’s Integrated Aviation Systems Program, will fall under a future contract competition.